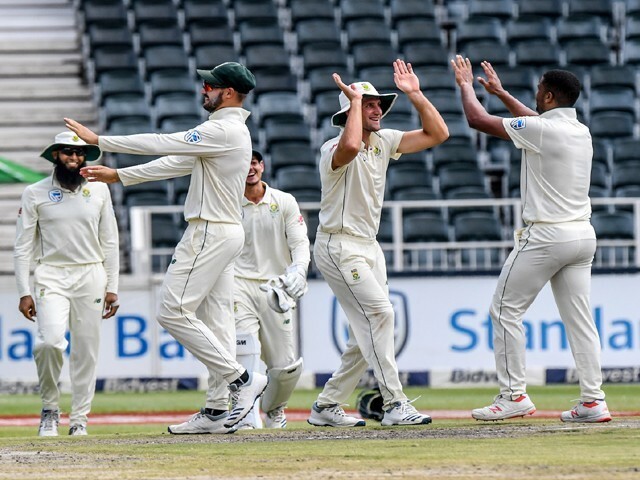 Vernon Philander of South Africa celebrates with team-mates during day 4 of the 3rd Castle Lager Test match between South Africa and Pakistan at Bidvest Wanderers Stadium on January 14, 2019 in Johannesburg, South Africa. 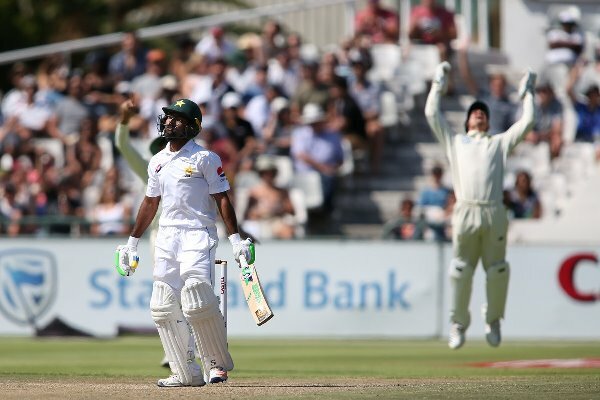 Pakistan last played a Test series against South Africa in 2013 and lost 3-0. Five and a half years later, nothing seems to have changed. Another series defeat, another series full of poor planning. 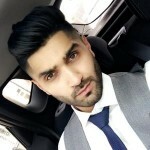 When will the Pakistani management learn? Winning series in the UAE against the likes of Sri Lanka and Australia isn’t the most difficult feat to achieve. For me, the biggest test of a team’s competence is playing away from home in tough conditions. And South African conditions are exactly that. The toughest place for Asian teams to play is generally England and South Africa. Ironically, these were the two places Pakistan toured in 2018 and sadly returned from both these series without a victory. It is tiring explaining why the series was lost since we can trace similar patterns to previous series whereby the team starts off strong but then all of a sudden falters. To me, this means that the current team lacks the mental toughness to battle out situations. We get so close to victory, but at key junctions of the game, we give it all away. Usually, teams capitalise in these situations but our team falters. This quote represents our cricketing technique and I could not agree more. This is why I feel this entire Test team needs to reshuffle. The first change I would make is dropping Asad Shafiq from the Test team. 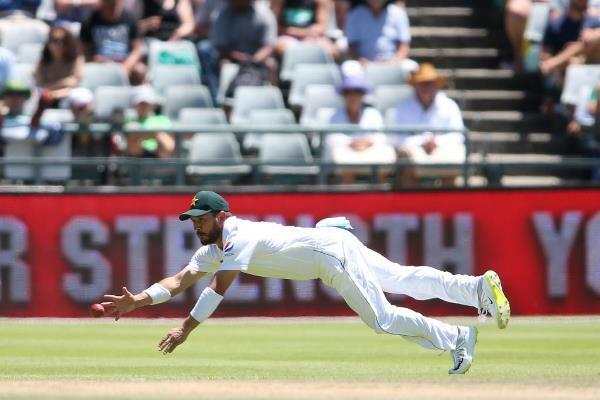 There is no denying that he did score runs in the second Test but when looking at the larger picture, those runs didn’t add much to the already wavering game. As soon as Pakistan was faced with a bit of pressure, Shafiq lost his wicket. This is similar to his previous Test performances where he gives his best when the game is dull and there is no pressure. If a player does not know how to deal with high pressure situations, then he should not be representing the country on such a huge platform. He has been part of our Test team for almost nine years, yet only has a handful of match-winning contributions. 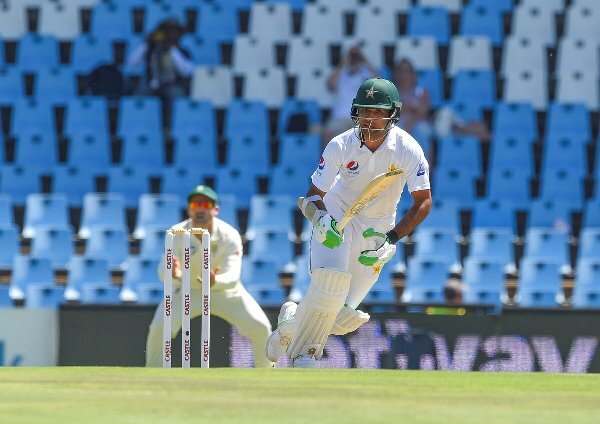 It is time to move on from Shafiq, we don’t need ‘empty’ Test runs. Secondly, we need to make a firm decision about Azhar Ali; he either plays as a permanent opener or he is dropped. 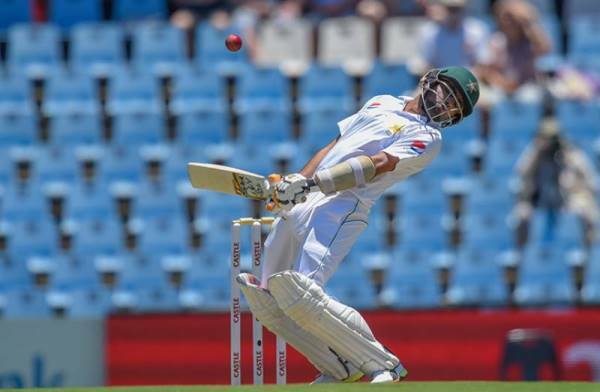 Azhar has been terrible this entire series and considering that he is an experienced player who has previously played six Test innings in South Africa prior to this series, this is an extremely poor performance from him. I am a massive Azhar fan but he really needs to step up. He failed in the tour of England and has failed in this series too. I can find at least three players in Pakistan who can play similar to how he does in UAE, but these important series need special attention from him. Maybe it is time to move on from him too? Moreover, I would propose removing Sarfraz Ahmed from Test captaincy. I feel his captaincy is affecting his batting and performance in all three formats. In these dire times, we need him to perform as a player. 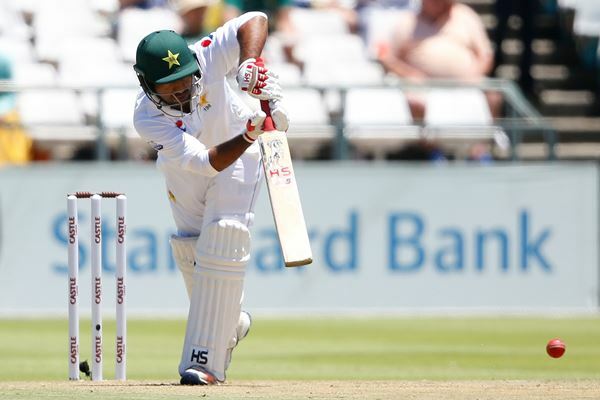 Fans have been calling for Sarfraz to be dropped permanently, but that wouldn’t be wise. He is useful with the bat and removing him from captaincy will free him as a batsman and he will hopefully return to his best form. Pakistan also needs to take a stance on Imamul Haq. He isn’t a world-beater but he can average in the 40s in Test cricket which is more than useful for us. However, I do think that he needs to play a few more seasons in domestic cricket before playing on the international level. Moreover, the selectors must also realise that Yasir Shah isn’t a good option when the team is playing away from the UAE or Asia in general. The next time we tour Australia, New Zealand, South Africa or England, he should not be selected in the squad. Moving forward, I would stick with Fakhar Zaman. Yes, he failed in this Test series but I feel that he has an overall ‘higher ceiling’ than Imam. His debut Test knocks against Australia are testament to that. We also have to remember that since Zaman was coming from an injury, he wasn’t fully fit to play this Test series in the first place. And knowing Zaman, he is a good enough player to recover from this defeat. 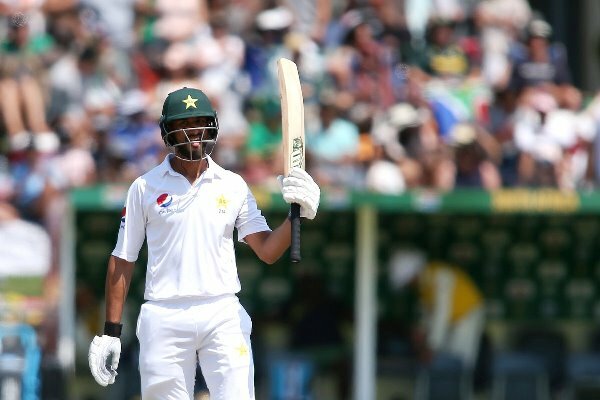 In this series, the obvious positives for Pakistan were Shan Masood and Babar Azam. Although neither scored a century, it was heartening to see the way they performed. Both of them looked confident at the wicket; however, moving forward they need to work on improving their start. With the way they both batted, they should have scored five Test tons between them, instead they finished with zero which translated to the 3-0 loss Pakistan suffered. The 3-0 loss is bad but I would be more worried if this was the best team Pakistan could send to South Africa. Thankfully, this isn’t the case. Haris Sohail, one of our best batsmen (for me at least), was out of the entire tour because of injury. Once he returns, he should replace Shafiq permanently. In addition to this, Saad Ali, Usman Salahuddin and Saud Shakeel should be brought in and given extended runs. These three are fantastic cricketers who have a bright future playing for Pakistan. These weren’t our best set of players; they were far from it. This indicates that our chief selector, Inzamamul Haq, needs to do a much better job. It is time to make drastic changes, because if not now, when will we? The writer is correct on Imam, Asad, and Azhar. 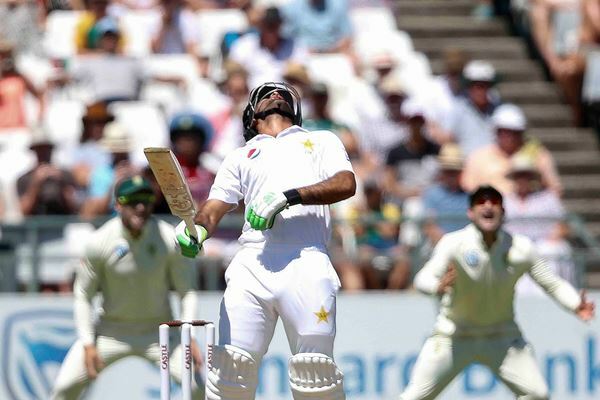 These players along with Shan Masood, Harris Sohail (although he didn’t play) must learn proper test cricket technique. All of Pakistani batsmen were poor performers including Shan Masood and Imam ul Haq. Imam ul Haq is in the team because uncle Inzamam ul Haq is a chief selector, Shan Masood is in because Daddy Masood is PCB’s board of governer’s member. And who knows why Azhar, Asad, Faheem and others have any connections? The toughest place for Asian teams to play is generally England and South Africa.